Emanuel Lasker (December 24, 1868 – January 11, 1941) was a German chess World Chess Champion and grandmaster, mathematician, and philosopher born at Berlinchen in Brandenburg (now Barlinek in Poland). In 1894 he became the second World Chess Champion by defeating Steinitz with ten wins, four draws and five losses. He maintained this title for 27 years, the longest tenure of any officially recognized World Champion of chess. Lasker defended his title successfully in a rematch against Steinitz (1896), then virtually retired for seven years to concentrate on his mathematics studies. He returned to regular play in 1904, and successfully defended his title against Frank Marshall (1907, +8-0=7), Siegbert Tarrasch (1908, +8-3=5), Carl Schlechter (1910, +1-1=8), and David Janowski (1910, +8-0=3). His great tournament wins include London (1899), St Petersburg (1896 and 1914), and New York (1924). In 1921, he lost the title to Capablanca. Negotiations had begun as early as 1912, but had been interrupted by World War I. In 1920 Lasker offered to resign his title to Capablanca, but Capablanca wanted to beat Lasker in a match. Lasker lost with the score of 5 points out of 14 without scoring a single win. In 1933, the Jewish Lasker and his wife Martha Kohn had to leave Germany because of the Nazis. They went to England and, after a subsequent short stay in the USSR, they settled in New York, where he resided for the rest of his life. Lasker is noted for his "psychological" method of play in which he considered the subjective qualities of his opponent, in addition to the objective requirements of his position on the board. Richard Réti even speculated that Lasker would sometimes knowingly choose inferior moves if he knew they would make his opponent uncomfortable, though Lasker himself denied this. But, for example, in one famous game against Capablanca (St. Petersburg, 1914) which he needed to win at all costs, Lasker chose an opening that is considered to be relatively harmless — but only if the opponent is prepared to mix things up in his own turn. Capablanca, inclined by the tournament situation to play it safe, failed to take active measures and so justified Lasker's strategy. Lasker won the game. The game was a microcosm of Lasker's style; he invested little study in the opening, was tremendously resourceful in the middlegame and played the endgame at the highest level. Indeed, even when Lasker was in his late 60s, Capablanca considered him the most dangerous player around in any single game. One of Lasker's most famous games is Lasker - Bauer, Amsterdam, 1889, in which he sacrificed both bishops in a maneuver later repeated in a number of games. Some opening variations are named after him, for example Lasker's Defense (1.d4 d5 2.c4 e6 3.Nc3 Nf6 4.Bg5 Be7 5.e3 O-O 6.Nf3 h6 7.Bh4 Ne4) to the Queen's Gambit. In 1895, he introduced a line that effectively ended the popular Evans Gambit in tournament play (1.e4 e5 2.Nf3 Nc6 3.Bc4 Bc5 4.b4 Bxb4 5.c3 Ba5 6.d4 d6 7.0-0 Bb6 8.dxe5 dxe5 9.Qxd8+ Nxd8 10.Nxe5 Be6). Lasker's line curbs White's aggressive intentions and, according to Reuben Fine, the resulting simplified position "is psychologically depressing for the gambit player." 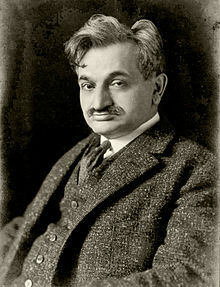 Lasker was also a distinguished mathematician. He performed his doctoral studies at Erlangen from 1900 to 1902 under David Hilbert. His doctoral thesis, Über Reihen auf der Convergenzgrenze, was published in Philosophical Transactions in 1901. Lasker introduced the concept of a primary ideal, which extends the notion of a power of a prime number to algebraic geometry. He is most famous for his 1905 paper Zur Theorie der Moduln und Ideale, which appeared in Mathematische Annalen. In this paper, he established what is now known as the Lasker-Noether theorem for the special case of ideals in polynomial rings. He was also a philosopher, and a good friend of Albert Einstein. Later in life he became an ardent humanitarian, and wrote passionately about the need for inspiring and structured education for the stabilization and security of mankind. He also took up bridge and became a master at it, in addition to studying Go. He invented Lasca, a draughts-like game, where instead of removing captured pieces from the board, they are stacked underneath the capturer. The poet Else Lasker-Schüler was his sister-in-law. Edward Lasker, the American International Master, engineer, and author, claimed that he was related to Emanuel Lasker. They played together in the great 1924 New York tournament. Lasker - Bauer, Amsterdam, 1889 - an external link is Emanuel Lasker vs Johann Hermann Bauer, Amsterdam 1889, Bird Opening: Dutch Variation (A03), 1-0 The first known game with a successful two bishops sacrifice; this type of combination is known as "Lasker-Bauer combination" since then. Emanuel Lasker vs Jose Raul Capablanca, St Petersburg 1914, Spanish Game: Exchange. Alekhine Variation (C68), 1-0 Lasker, who needed a win here, surprisingly used a quiet opening, allowing Capablanca to simplify the game early. This psychological choice probably weakened Capablanca's attention and allowed Lasker to prevail in an interesting strategic struggle in the late middle game. Lasker's Manual of Chess, 1925, was as famous in chess circles for its philosophical tone as for its content.